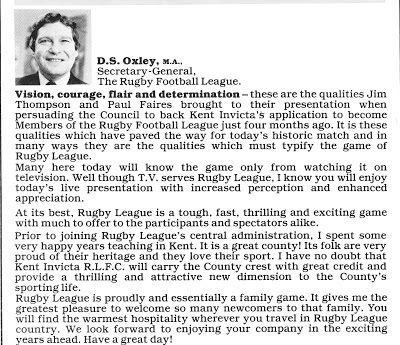 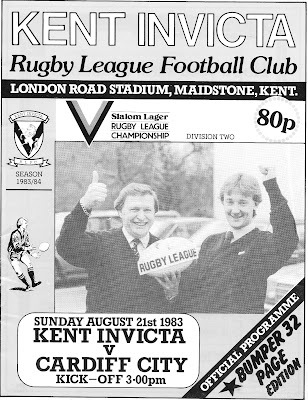 On Wednesday 6th April 1983 Kent Invicta Rugby League Football Club was accepted as a member of the Rugby Football League and following a hectic few months of preparation played its first game in Division Two on Sunday 21st August 1983. 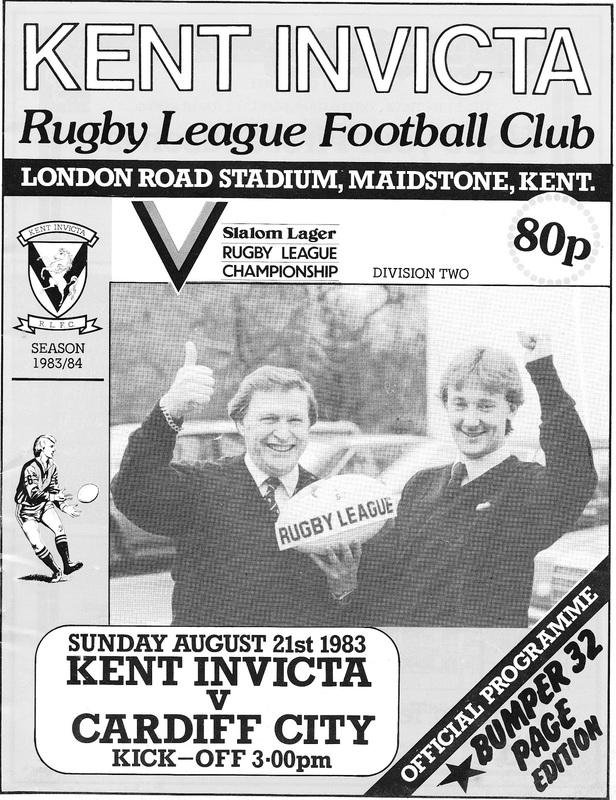 The club was based at Maidstone United's London Road Stadium. For the opening game the club had recruited a mixture of Southern based players and experienced Northern 'imports'. 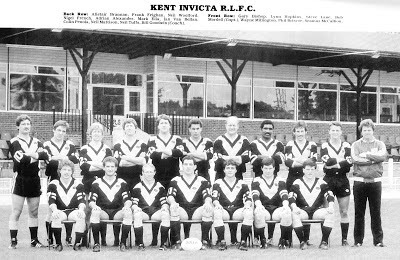 There was no rugby league played in Kent and the nearest professional club was Fulham over forty miles away. 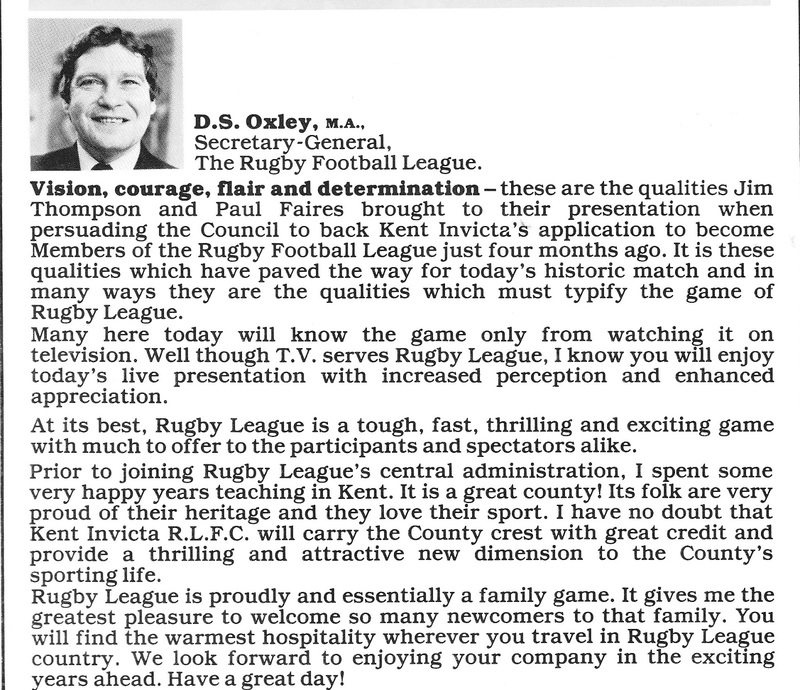 However, despite the obvious difficulties of establishing a club in an area new to rugby league, many people in the sport were excited about the prospect of rugby league being played in Kent and thought that the club would be a success.